Jobe Duna 11’6 2018 – SUP, Windsurfing UK. 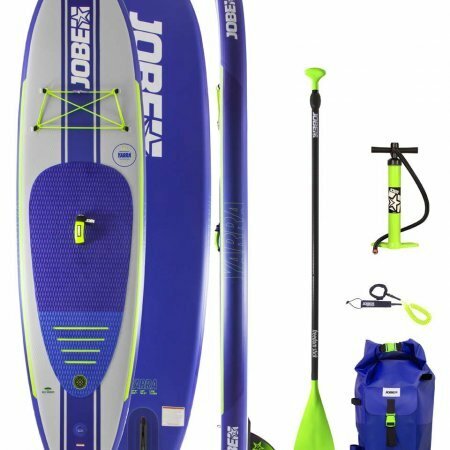 As with all the boards we stock, there’s just something special about them and the Jobe Duna 11’6 2018 inflatable is no different. 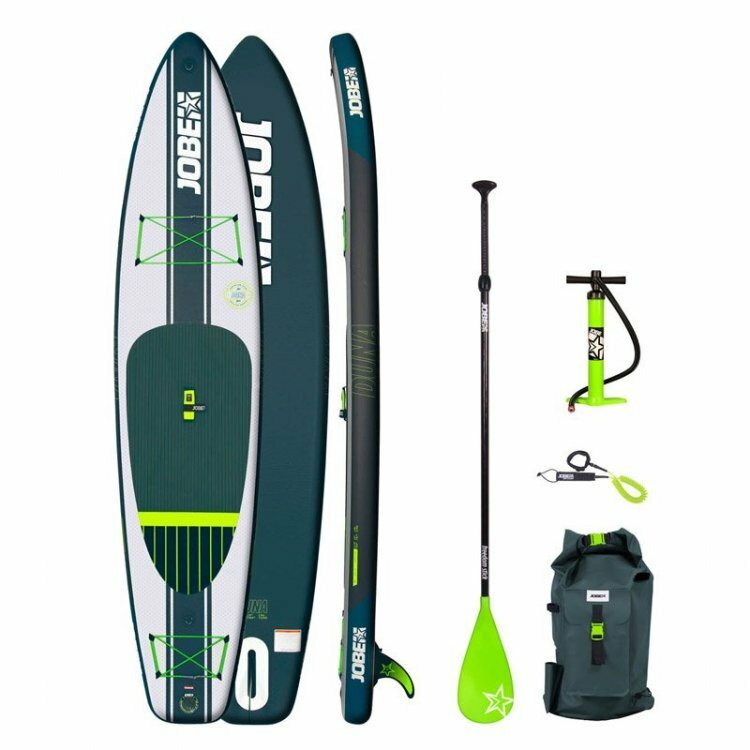 The Jobe Duna 11’6 2018 uses the very latest drop stitch technology so is very light weight and this makes life so much easier whilst on land, but it’s on the water where it really excels. This sort of board is a great chameleon that can do everything from touring, racing and even surfing. The more pointed bow helps to improve the top and average speed whilst the more parallel rails improve directional control. The build quality of the Jobe Duna 11’6 2018 SUP board uses a unique drop stitch technology that gives exceptional build quality, weight and rigidity. This is my favourite board in the whole Jobe range. 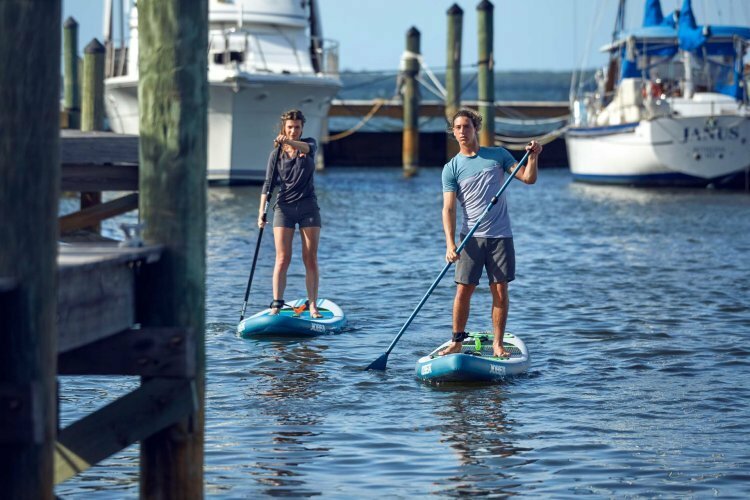 At 31 inches wide, the Jobe Duna has loads of stability, but is not going to feel too restrictive as you go from beginner to intermediate paddler within a few weeks. 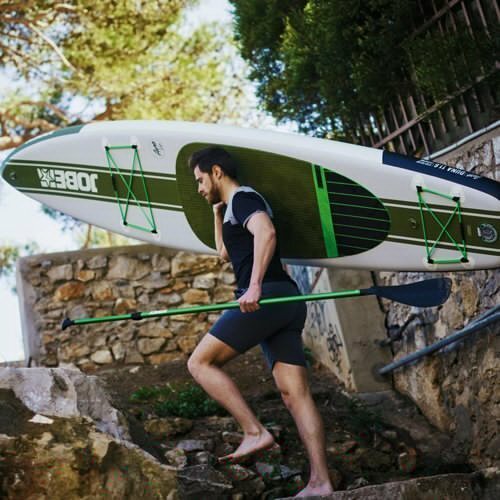 The Jobe Duna 11’6 2018 SUP board has loads of volume and a carrying capacity of up to 120kg which gives you plenty of room to carry luggage, sandwiches, kids and dogs up front. You get an 8″ removable centre fin that requires not tools to remove so that’s great for anyone without a toolkit in the car. If you're still unsure why not come and TRY the Jobe Duna 11'6 inflatable sup and make up your own mind! 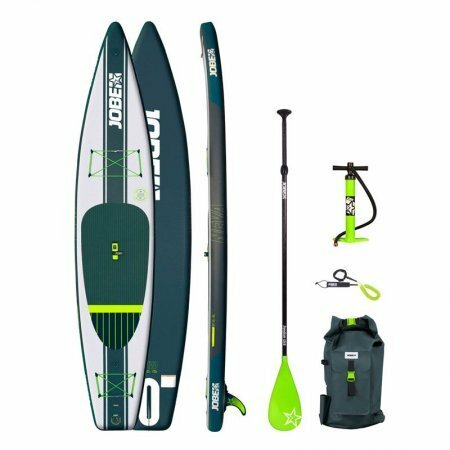 The Jobe Duna 11’6 2018 package really is a great deal offering the build quality of brands like Red Paddle SUPs. 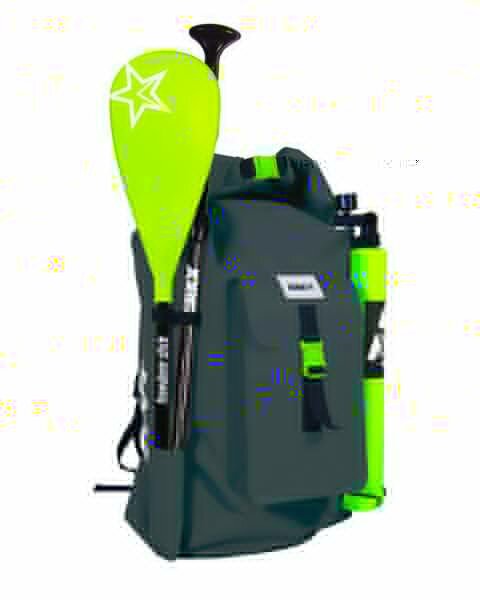 A quick recap gives us features like the padded carry handle for a softer grip, a paddle holder to make life easier, a carry handle at the tip of the board, a large bungee area for those paddle trips and obviously the great shape and performance.